Artisan cheeses, pure and simple. 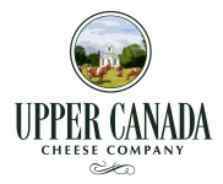 In the first small, modern Niagara creamery in generations, Upper Canada Cheese Company hand crafts premium artisanal cheeses from the milk of local Guernsey cows. We express the unique terroir of our extraordinary Niagara Escarpment World Biosphere region with rich Guernsey milk and the talents of our cheese makers. Each day, fresh, pure Guernsey cow milk is transformed into cheeses of uncommon taste and texture, revealing a subtle range of flavours influenced by the seasons, forage and feed. Then, our cheeses are ideally aged in our own cellars until they're ready for you. 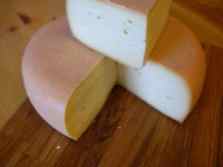 This is the whole food, farm to table idea; a minimum of food processing intervention to produce the purest cheeses possible. When at our creamery you can learn all about our cheese making techniques and see the cheese makers in action by looking inside our creamery through a special looking glass as they make our award winning cheeses. 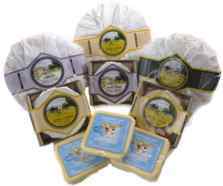 You can also learn all about cheese making with our interactive powerpoint presentation that details each step of our process as well as interact with our knowledgeable staff at any time and asking them questions related to our cheeses. 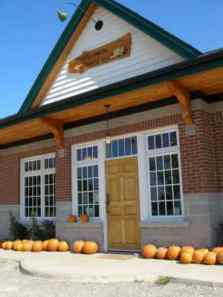 While you're here, you can pick up other unique artisan cheeses, gourmet sauces, preserves and unique items for the culinary enthusiast. Our selection is always changing.